Uber will now remove riders who despite repeated warnings misbehave or damage the driver or co-passenger's property, as per the updated community guidelines of the ride-hailing giant. The US-based company has also added a 'Driver Safety Toolkit' - designed on the lines of a similar offering for riders - to offer a suite of in-app safety features for its driver-partners in India. "Courtesy matters. Riders are expected to exercise good judgment and behave decently towards other people in the car when riding with Uber... Riders may lose access to Uber if they don't meet the star ratings requirements set out in the community guidelines," Uber Head of Cities (India and South Asia) Prabhjeet Singh told PTI. Singh explained that the company will now start removing from its platform those riders who despite repeated warnings flout Uber's community guidelines. These riders will be given enough notifications before they are removed from the platform, and the number of such riders would be "handful", he said. "We have updated Uber's community guidelines which extend the same behavioral standards to the riders that Uber has for the driver partners. Even though a vast majority of riders will not be affected by this update, it reminds a select few what behaviour is expected of them while using the app," Singh added. Some of the reasons for losing access to Uber would include damage to drivers' or other passengers' property, use of inappropriate and abusive language or gestures, unwanted contact with the driver or fellow passenger after the trip is over, and breaking the local law while using Uber. "If we are made aware of these kinds of problematic behaviour, we will contact you so we can investigate them. Depending on the nature of the concern, we may put a hold on your account during our investigation. If the issues raised are serious or a repeat offence, or you refuse to cooperate, you may lose access to Uber," the guidelines said. It added that any behaviour involving violence, sexual misconduct, harassment, discrimination, or illegal activity while using Uber can result in the immediate loss of access to the account. These steps have been taken to strengthen safety of the drivers on Uber's platform and to foster an environment of mutual respect between riders and driver-partners, Singh said. "There can be no Uber without driver partners - they are at the centre of Uber's business... We have been focussing our efforts on developing products that increase transparency, accountability, and safety for all our stakeholders -- driver-partners as well as drivers," he added. For driver-partners, Uber is rolling out an emergency button and the 'share trip feature' as part of the driver safety toolkit. Singh clarified that the share trip feature for drivers will allow them to share their locations with friends and family, but no details of the rider will be shared as part of this. 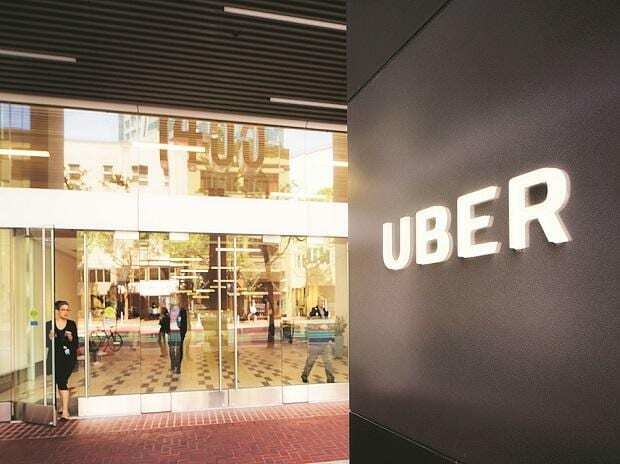 Uber, which is locked in an intense battle with Ola for leadership in markets like India and Australia, has about three lakh driver-partners in India. The US-based company saw its revenue grow manifold from India business to Rs 21.5 crore, while net profit was at Rs 19.6 lakh in the fiscal ended March 2018. Uber has previously stated that it remains committed to investing in India which is among its top markets.